Eating chocolate for a living may seem like the sweetest way to earn a paycheck, but one professional chocolate taster told us that it's not always sugar and spice. 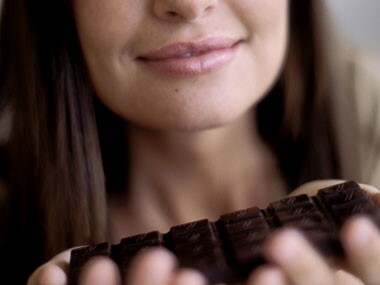 People’s faces light up when I say I taste chocolate for a living, but it’s not always delicious. I also have to taste defective chocolate, which might have a bitter or burned flavor. I’m usually in a small room, not allowed to talk, and parked in front of a computer to log information. Sometimes the room has red lighting to disguise the appearance of the chocolate, so I can evaluate it only by taste, not appearance. 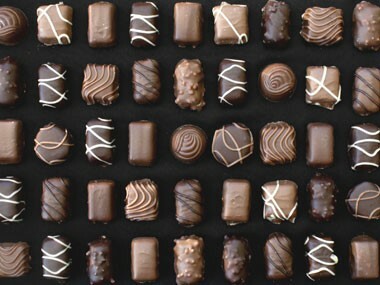 I can sample as many as 30 chocolates per day, so to keep my palate vibrant, I spit the sweets back out. That’s another not-so-glamorous part of the job (although it does help make weight gain a nonissue!). Between samples, I wait 30 seconds to let my senses rest, and I chew half an unsalted cracker and drink plain warm water (carbonated water and ice water numb your senses). First I smell the chocolate and log its aroma. I also listen: If chocolate doesn’t sound crisp when broken, it may be a sign it’s old or was improperly stored. Then I place a one-inch cube in my mouth and leave it there for a few seconds. I press it against my palate and let it melt, recording the four basic tastes—sweet, sour, bitter, and salty. Then I blow out short puffs of air through my nose. Certain scent receptors in the back of our heads are stimulated by oxygen (they allow us to smell food even when we chew). Exhaling sharply can bring out aromas like berry, mushroom, black licorice, tea, citrus, beeswax, toast, cinnamon, and savory spices that are sometimes too subtle for the nose to catch. I log these attributes, too, along with the texture. … But not nearly as much. I absolutely love chocolate. The entire bottom part of my refrigerator is filled with chocolate from different parts of the world. I keep it in a plastic bag with a paper towel, which absorbs just enough humidity to keep it fresh. 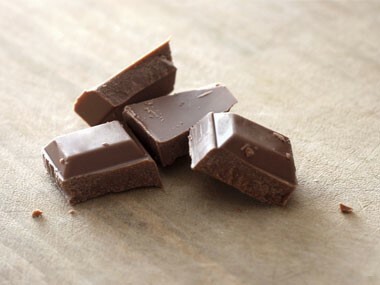 My favorite types are very high in cocoa (Ghirardelli has great options). But I haven’t gone to that stack as much as I did before I started tasting chocolate professionally. 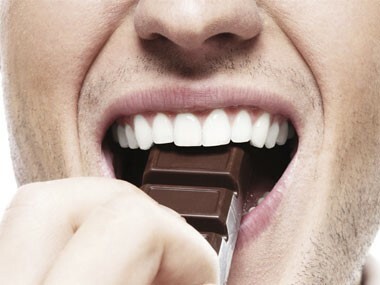 Many people don’t take enough time to appreciate the taste of even a small piece of chocolate. Some of the worst “chocolates” I’ve tasted are popular vending machine bars—they’re mostly sugar, not chocolate! A key sign of high-quality chocolate: The first ingredient listed is cocoa. But if I give you a 100 percent cocoa chocolate bar, you’ll probably push it away because you’re not used to it. Many American foods are overly salty or sweet, which can create an unbalanced palate. To retrain your taste buds to enjoy better quality chocolate, try simple kinds that aren’t filled with nuts, vanilla, or caramel. As a taster, I want to help others do what I do: to look at food with curiosity and love and to notice colors, aromas, and flavors. Then you’ll know good quality. 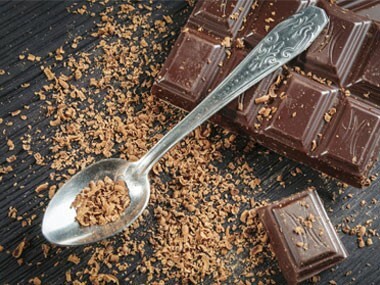 Orietta Gianjorio, a chocolate taster for the Mars Chocolate-UC Davis Chocolate Panel, is also a sommelier and food writer in Northern California.